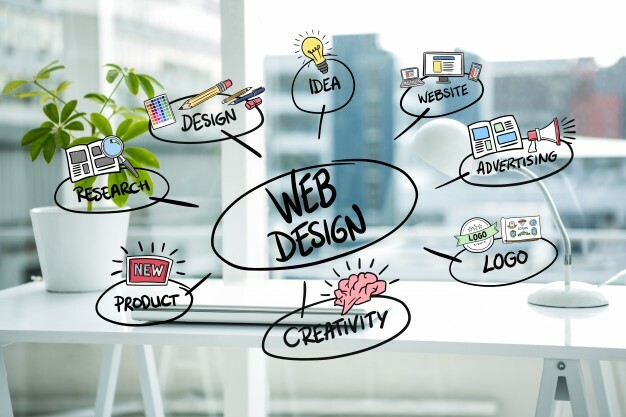 Web design is the art and process of creating single and entire web pages, and can involve the aesthetics and mechanical ins and outs of a website operation, although the main thing is to focus the look and feel (what the site sees and feels). What should be mastered by a web designer? Things that must be mastered by a web designer is as follows. • Web layout apps, such as Macromedia Dreamweaver, Microsoft Fontpage, Edit Plus, PHP Edit, etc. • Animation Maker apps like Macromedia Flash, Swish, etc. • Graphic design applications like Corel Draw, Photoshop, Gimp, etc. Sites that have this function in general are dynamic web. Because made using web programming (server side) then equipped with facilities that provide communication functions such as web mail, contex form, chat, forums, etc. Facebook is one website that serves as a medium of communication. This web is more emphasis on quality of content because the purpose of this site is to convey its contents. We recommend this type of web contains text and graphics that can be downloaded quickly. Limit use of motion animation on this type of web. Facilities that provide information function are news, profile, company, library, reference, etc. This type of web is a means of entertainment, so animated images and motion elements can improve the quality of design presentations, although it should still consider the download speed. Some facilities from the web that have entertaiment function such as online games, online movies, online music, etc. Youtube is one of the web with entertaiment function. This website can be used as a means of business transactions, both goods and services. This site connects consumer companies and specific communities through electronic transactions. Payments can use ATM, transfer, or direct. An example is tokobagus.com. After understanding the above description, which should be studied next is to know the basic science of HTML or Hyper Text Markup Language. Such a concise but informative post. Thanks for sharing. I am a web designer and am happy to possess many of the skills you mentioned. Will be working on the rest.